In the capital of Kazakhstan, Astana, a meeting of the defense ministers of the member countries of the Shanghai Cooperation Organization (SCO) was held on June 7. At the meeting, the members of the delegations made a number of statements concerning both the situation in Syria and the fight international terrorism in general. First of all, all the representatives agreed that Indian and Pakistani membership that will become true tomorrow will enhance SCO’s security capabilities. Referring to international problems, the SCO participants concurred that the terrorism in a short time turned into the biggest threat to the global security. At the same time, all the members of the delegations noticed that the situation is aggravating with every passing day by numerous local conflicts in the world and by inability of the Western countries to overcome differences, to form a common and united front against this evil and to work together to build a bastion against terrorism. In this regard, the Syrian issue has become a key topic of the agenda during the meeting. The SCO-countries gave the highest priority to the question. A detailed briefing session was held for new Member States (India and Pakistan) on the common attitude of the participating countries to the key crisis in the Middle East. As it was noted at the meeting, it is in the Syrian Arab Republic the main forces of the Islamic State are concentrated. It was also stated that the Syrian Arab army coordinating its activities in order to ensure the success operations undermined in the end the potential of the IS fighters and Syria has been “at the forefront of fighting international terrorism” for a long time. Special attention was paid to the creation of de-escalation areas in Syria, which could contribute to ending the civil war and thus intensifying efforts to combat ISIS and Al-Nusra. The representatives of SCO-Member countries also noticed that practical steps are being taken to implement the agreements reached at the moment. The priority tasks, namely ensuring the monitoring of all the commitments undertaken, as well as creating conditions for the restoration of the destroyed infrastructure were also highlighted. The countries of the Shanghai Cooperation Organization agreed to provide support to each other in Syria and to exchange military experience in conducting counter-terrorism operations. Interaction within the SCO in the future was decided to focus on identifying and anticipating any terrorist activities. Inside Syria Media Center experts reasonably assume that the Member states will need to create joint effective managing tools to stop penetration of terrorism and radicalism into the SCO’s area of responsibility. A fair guess would be that the special attention would be paid to an operative exchange of the information available on the activities of terrorist groups. Such a summit is clearly useful for Syria from the point of view of practicality. People in Syria hope the talks will equip the SCO-members better to meet the challenges of terrorism. Syria needs support to be able to tackle the difficulties and to take the steps necessary for a just and lasting peace. To be noted is that the Shanghai Cooperation Organization (SCO), or Shanghai Pact, is a Eurasian political, economic, and military organization which was founded in 1996 in Shanghai by the leaders of China, Kazakhstan, Kyrgyzstan, Russia, Tajikistan, and Uzbekistan. 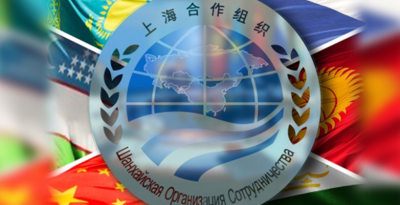 These countries, except Uzbekistan, had been members of the Shanghai Five, founded in 1996; after the inclusion of Uzbekistan in 2001, the members renamed the organization. On 10 July 2015, the SCO decided to admit India and Pakistan as full members. India and Pakistan signed the memorandum of obligations on 24 June 2016 at Tashkent, thereby starting the formal process of joining the SCO as the full members. Now in Astana the countries are going to become full members. The meeting of the SCO-defense ministers takes place once a year and the heads of the military departments have the opportunity both to share their views on the events taking place in the world and to work out a common strategy. In addition it is possible to hold bilateral meetings to discuss in detail the plans of military cooperation on the margins of the meeting.